How will Kosovo affect global politics? 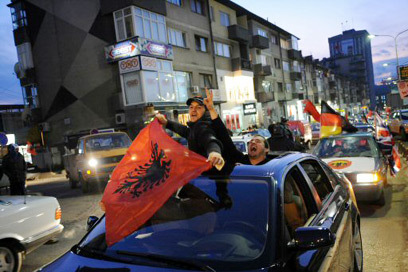 Kosovo’s Albanian population has long dreamt of ceding from Serbia and establishing an independent state in Kosovo. The United States and key European Union countries have also long supported the nationalistic ambitions of these ethnic Albanians that have been finally realized Sunday. Russia, however, long troubled by clashes with Chechnya and other states, frowned upon Kosovo’s unilateral declaration of independence, fearing that its ethnic minorities might very well follow Kosovo’s lead. Can this new Balkan country upset the delicate balance of world politics? According to Professor Gerald Steinberg, Chairman of the Political Science Department at Bar Ilan University and renowned expert of ethno-national conflicts, the Kosovar situation may very well turn out to be problematic. He noted the political situation in East Timor, which has been unstable and turbulent ever since the country’s cession from Indonesia. It is still uncertain whether the Balkans will follow suit, said Steinberg, though both regions are equally volatile. As far as the Serbs and Russians are concerned, however, Kosovo’s declaration is troubling to say the least, noted Steinberg. “As far as they are concerned the west blatantly stole their land and is trying to determine conditions on the ground. Moscow certainly sees this move as a slap in the face. They were not approached about this decision in spite of guarantees given to them during the war in the Balkans. There will be reactions to this move and numerous attempts to destabilize the region just as we saw in East Timor," he said. Is Kosovo’s independence applicable to the Palestinian situation? According to Professor Steinberg the parallels to the Palestinian question are plainly evident. Professor Avineri also noted that any attempt made to draw parallels from the Kosovar situation to other regions in the world is deeply influenced by the “Serb propaganda machine”, which he believes is attempting to make the world forget about the greatest tragedy to befall Europe since World War II. “NATO only intervened after the sweeping ethnic cleansing perpetrated by the Serbs, who displaced and killed nearly a million Albanians. Now the Serbs want the world to forget this tragedy, and so they want to make the world believe that Kosovar independence has grave implications for the rest of the world, which is decidedly not the case,” said Avineri. Professor Arie Kacowicz, Chairman of the Department of International Relations at the Hebrew University of Jerusalem believes that “Kosovo’s independence might cause a minor scuffle on the international scene…but all in all it will all end peacefully. “After so many wars in the Balkans it is doubtful whether Serbia would go to war for Kosovo. Russia might make some noise in the UN Security Council, but that’s about it. 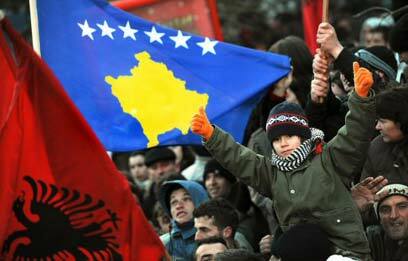 Ultimately Kosovo’s fate hinges on how many nations choose to recognize it," he said. See all talkbacks "How will Kosovo affect global politics?"